Here is a closer look at what you will find in this month's issue: From the Editor- "Copper Thieves" by Luis Ayala. The Angel’s Share- Featuring Thomas Tew Single Barrel Rum and Cockspur 130 Overproof Rum. Bartender’s Corner. 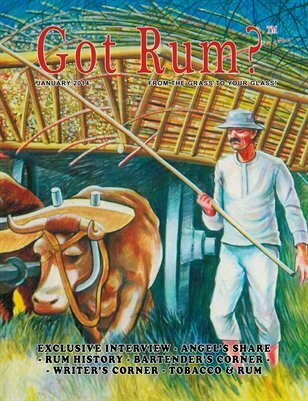 The Rum Historian- "The Origin of Rum- A Quest, Part Six: The Forgotten Empire". Writer's Corner- "Blood of Belvidere". Rum Industry Certification Program. Rum in History. Exclusive Interview- American Craft Distillers Association (ACDA). Pairing Tobacco & Rum.